Children with a dysfunction in any part of the brain suffer from a neurological disorder. Such dysfunctions lead to developmental problems. The symptoms may be physical as well as psychological. The following discussion explains various disorders and the effects of neurological disorders in children. 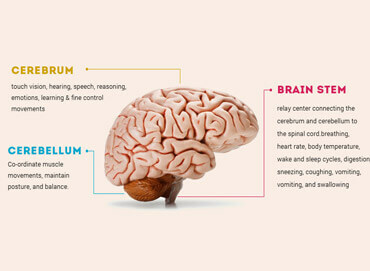 Neurological disorders in children occur due to any of the following reasons. In many cases, parents pass down such disorders to their children through their genes. On the other hand, gene mutations may occur during fetal development. They can also affect the development of the brain and the nervous system. Neurotoxins are harmful substances which affect fetal brain development during pregnancy. These toxins include alcohol, lead, mercury and certain food additives. Meanwhile, they are passed down to the fetus through the placenta. As a result, the newborn babies have intellectual or behavioral issues. This is a condition which causes damage to the brain due to low oxygen supply. It may occur during fetal development in pregnancy. In addition,the complications at delivery may also lead to this disorder. As a result, the affected child may show intellectual problems. Also they suffer from other common neurological disorders, for example, epilepsy. Some neurological disorders in children develop due to postnatal infections. The most common of these infections are encephalitis and meningitis – pathogenic infection. 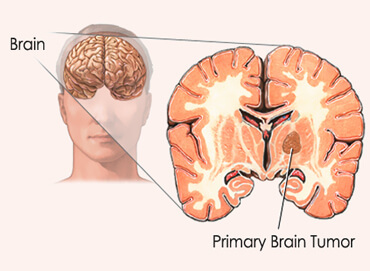 Here, encephalitis is the inflammation of brain whereas meningitis is a pathogenic infection. As a result, the affected children suffer from various symptoms. They include memory issues, speech impairments, behavioral problems and other associated issues. Any traumatic injury to the brain or spinal cord can also be responsible for neurological disorders in children. 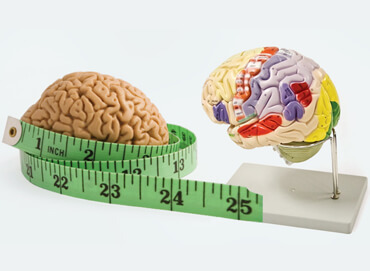 The severity of the disorders depends on the injury and the affected part of the brain. 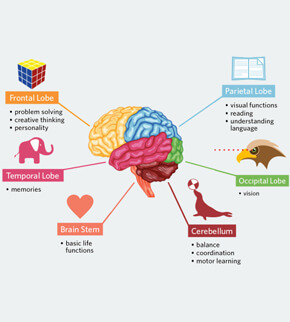 Below are some of the most commonly occurring neurological disorders in children. The discussion also provides brief information about the causes and effects. At the same time, you will come across neurological disorders symptoms. This disorder is caused when a woman consumes alcohol during pregnancy. The alcohol passes to the fetus and deprives it of nutrients and oxygen. As a result, the alcohol damages several organs. In this case of damage to the brain, the following symptoms occur. Attention deficit hyperactivity disorder is a very common behavioral disorder. It begins in childhood and may be carried on to one’s adulthood. Precisely, doctors also call it hyperactivity disorder. This is because the children with this condition display a restless or hyperactive behavior. The common cause of this condition is hereditary. It may also be due to other factors which damage brain development. They include neurotoxins, exposure to pesticides, exposure to tobacco smoke and brain injury. Below are the most common symptoms that the children suffering from ADHD exhibit. This condition involves seizures. It affects different aspects of a child’s life including social behavior and learning capabilities. However, the medical researchers have observedthat 70 percent of the children with epilepsy recover from the condition as they grow older. Other than seizures, the most common symptoms of the condition are described below. 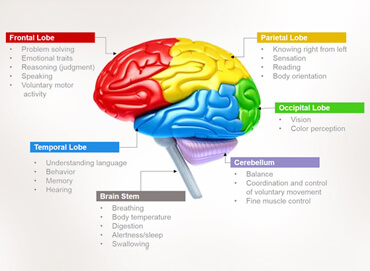 Here are some rarely occurring neurological conditions which affect children. It is a genetically inherited disease. When it occurs in infancy, you refer to it asType II Schindler disease. Notably, children with this condition fail to survive beyond the age of three to four years. The common symptoms include mental retardation, seizures as well as blindness in severe cases. This condition occurs due to the formation of a cyst in the spinal cord. It can be due to several reasons, for example, a birth defect, trauma or poor brain development. The common symptoms include weakness, pain, frequent headaches and poor bladder control. This is a metabolic disorder which leads to developmental delays. It involves the symptoms such as seizures, involuntary movements of the limbs. Meanwhile, general mental retardation is also one of the symptoms. This neurological condition affects the muscle performance. The common symptoms include muscle contractions, repetitive blinking and tongue protrusion. 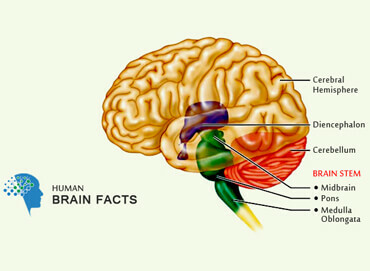 This syndrome occurs due to damage to the human brain. In this condition, there is memory loss and dementia. Other common symptoms include recognition inability, and the inability to experience feelings of fear and anger. Meanwhile, the victims also lose attention and focus easily. Here are some frequently asked questions about neurological disorders in children. It is a set of psychiatric conditions which occur due to brain impairments or damage. It may lead to various effects of neurological disorders in children. These include disorders of language, learning and muscle movement. What is the most common developmental disability? Mental retardation has been observed to be the most commonly occurring developmental disorder. 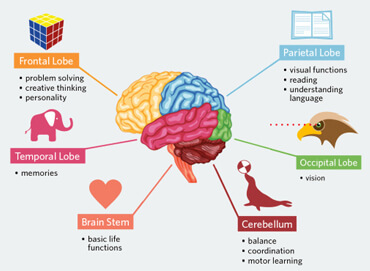 It affects the intellectual abilities and everyday skills of children. What are some of the symptoms of developmental delay? You can identify developmental delay by the following symptoms. Is autism considered a neurological disorder? Yes, autism – or Autism Spectrum Disorder – is a neurological disorder. This condition affects the behavior and social skills of children. It involves the brain damage which may occur due to various reasons, such as brain inflammation.